Lieutenant General Robert George Broadwood CB General Officer Commanding 57th (2nd West Lancashire) Division dies of wounds received in action at age 55. He is struck by a shell while crossing a railway bridge over the River Lys at Houplines at 10:15 and will die shortly after at the 54th Casualty Clearing Station at Estaires. 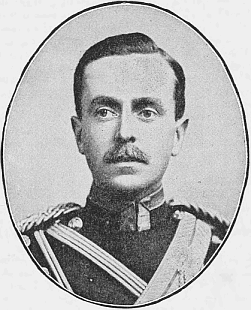 Lieutenant Colonel William Ambrose Short CMG (Royal Field Artillery) is killed. He is the son of the Reverend A Short. Chaplain Cecil Herbert Schooling MC dies of wounds received the previous day at Poperinghe at age 32. He is the son of the Reverend Frederick Schooling. Lieutenant Colonel Utten Lamont Hooke (commanding 3rd/4th West Surrey Regiment) is killed at age 26. Second Lieutenant James Taylor Greer Pickop (Royal Fusiliers) dies of wounds at home at age 25. He is the son of the Reverend Canon Pickop who will lose another son in October 1918. Second Lieutenant George Rudolph De Salis (Middlesex Regiment) is killed in action at age 19. His older brother died at home in October 1915 also age 19 and they are sons of ‘Sir’ Cecil Fane De Salis JP DL KCB High Sherriff of Middlesex. Rifleman Jesse Thomas Glenister (Irish Rifles) is killed in action at the Battles of Messines at age 19. His brother will be killed in November. Private James McNeece (Otago Regiment) dies of wounds received in action at age 34. He is the third member of the 1913 and 1914 All Blacks Rugby Football Club to be killed during the Battle of Messines over a two week period. Private George Southcott (Devonshire Regiment) is killed at age 34. His son will lose his life serving in the Royal Air Force Volunteer Reserve.